Have you ever imagined something and it came out exactly how you thought it would be? Perhaps it’s the perfect wedding day that you actually got to have, after imagining it since you were 10 years old. Or maybe it’s the weight lifted off your shoulders that you hoped for, after finishing three long years of law school. Today a dream came true when I finally made a recipe that I’d been thinking about for months. And you know what? It came out just as tasty as I envisioned it would. Sure, not all dreams are the same size, but I think you have to take the little wins with the big ones. 🙂 Here enters my dream dish, a mouth-watering and healthy eggplant quinoa parmesan. Lay a silicon mat or parchment paper on a baking sheet and set it aside. 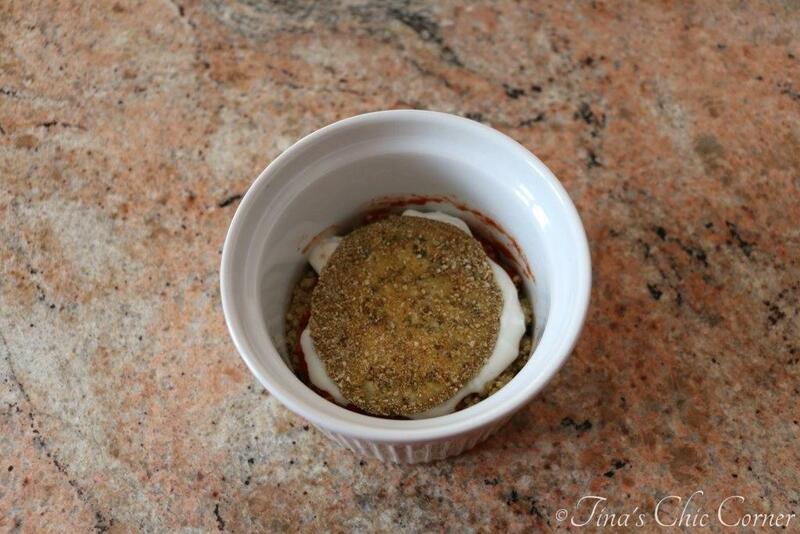 Dip the eggplant slices into the egg, then into the bread crumbs. Place them in a single layer on the prepared baking sheet and bake them for 6 minutes on each side (12 total minutes), or until they are slightly browned. In a medium skillet, heat the butter on Medium, and cook the chopped onion until it’s tender. Add in the minced garlic and cook it for about 1 minute. Season with pepper and sugar. Turn the heat down to Low/Simmer and cook for it for 20 minutes, stirring occasionally. In a small bowl, mix together the ricotta cheese and parsley. 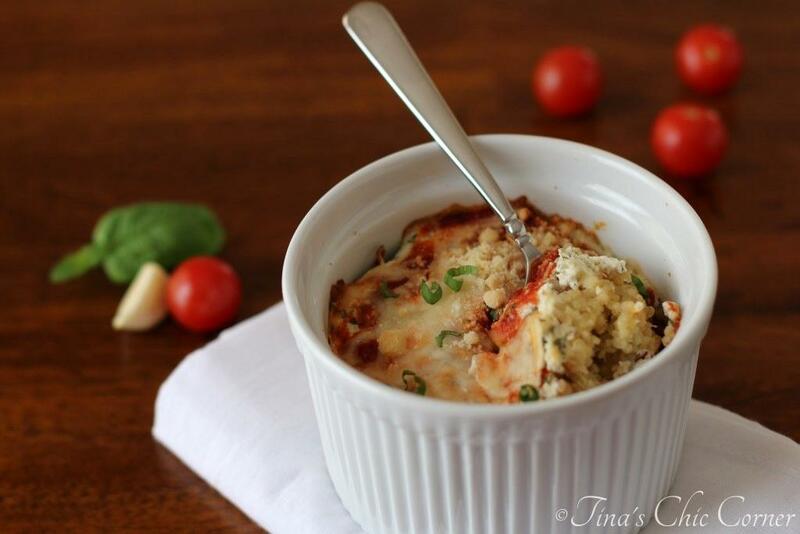 NOTE: Your various ingredients are all only 1/2 used for each ramekin! To assemble, spread a thin layer of the sauce in the bottom of a 4×3 inch ramekin (see note below). Lay down 1 slice of eggplant. Spread a layer of quinoa on top (about 1/4 cup). Spoon a layer of sauce on top (about 1 tablespoon). Spoon a layer of the Greek yogurt (about 1/4 cup). 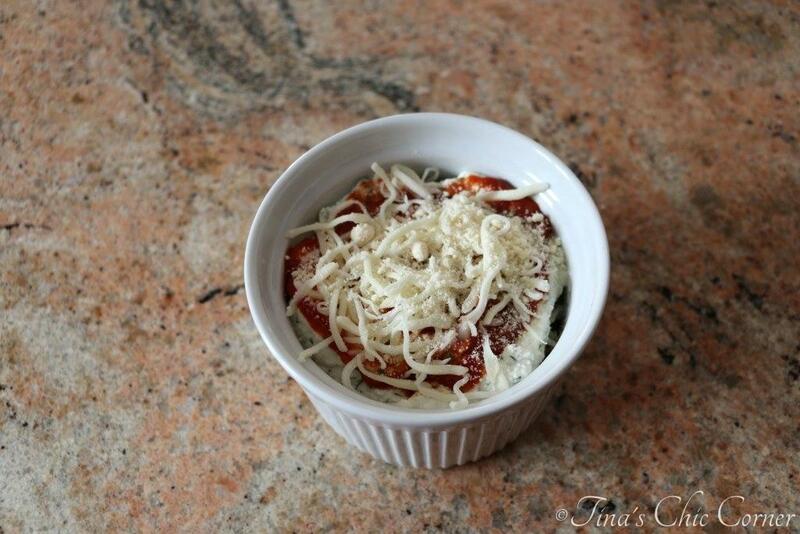 Sprinkle a layer of shredded mozzarella cheese (about 1 tablespoon). 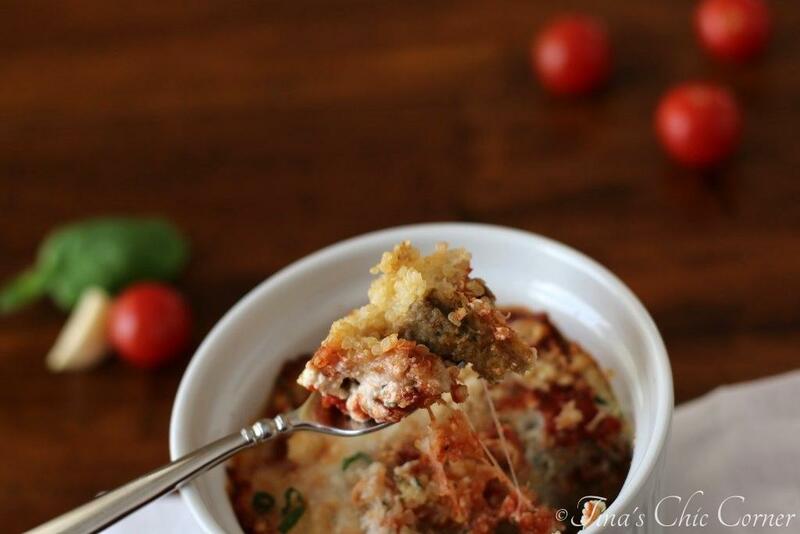 Sprinkle a layer of grated Parmesan cheese (about 1 teaspoon). Spread a layer of the ricotta cheese mixture (about 1/4 cup). Top with shredded mozzarella cheese (about 1 tablespoon) and grated Parmesan cheese (about 1 teaspoon). Bake the 2 assembled ramekins in the preheated oven for 35 minutes or until the cheese is golden brown. * Note, ramekins (or souffle dishes) are relatively inexpensive and they’re versatile. You can find them easily in most department stores or online, like amazon.com. I realize that you may not have them or want to invest in them. If there is enough interest I may try to update the recipe using a baking dish instead. In the words of George Takei, “Oh my!” I could not have imagined this tasting any better than it does. It’s full of wonderful Italian flavors but lacks virtually all the guilt from typical Italian food. I baked the eggplant instead of frying it. I think the baked version tastes better here because it doesn’t make the dish oily or greasy tasting. I used all low fat cheeses and you can’t tell the difference. It’s packed with protein from the quinoa and Greek yogurt. Did you say yogurt? In an Italian meal? Yup, it makes it more creamy. I used low sodium vegetable broth (to cook the quinoa) to help keep the sodium levels low. Speaking of salty goodness, I didn’t even add any additional salt to the dish or sauce because I think there is plenty from the broth and cheeses (of course feel free to add, if that’s what you like). Can you see all the glorious layers? Alright, so it looks like a complete mess in the below photo, but I assure you that your taste buds will be very happy. 🙂 You’ve got all sorts of texture going on here with the baked eggplant, the layers of creamy yogurt and ricotta cheese, and the layers of chewy quinoa. Maybe the photo below is better for you to see the various layers on the spoon. Let’s not forget the ooey gooey cheeses. It only takes a little bit to get that stringy action. Again, all the flavor, all the moisture, and all the awesomeness still remain, without sacrificing the taste. I sprinkled some fresh basil on top just before serving. I love that stuff. 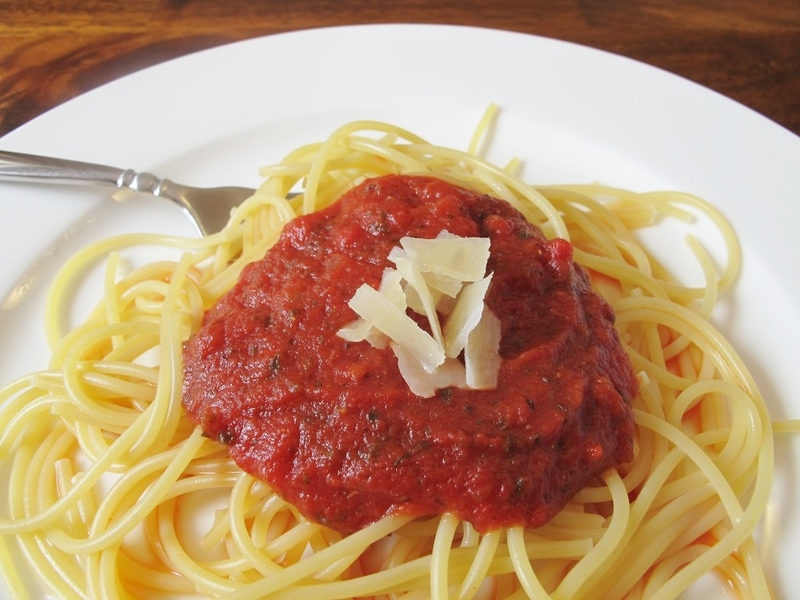 Here are some other Italian meals that you might enjoy. Look’s great. 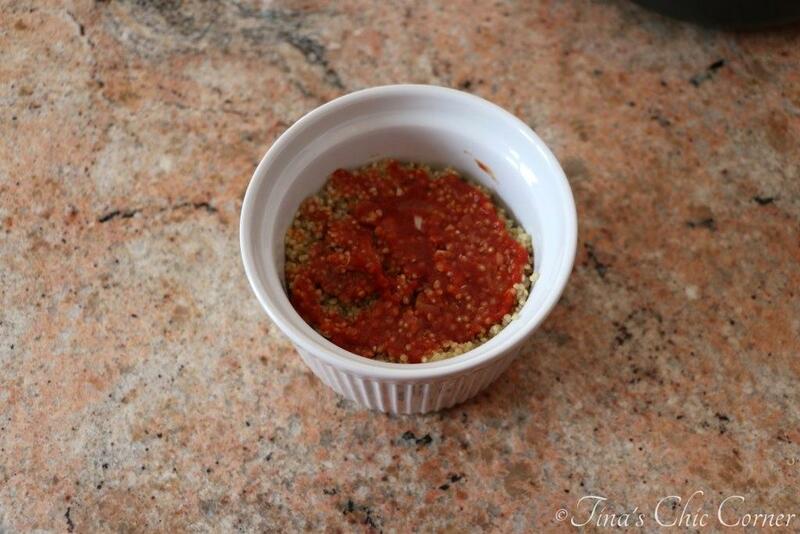 I really want to get more quinoa in my diet and this is a light and tasty recipe to that end. What a creative recipe! 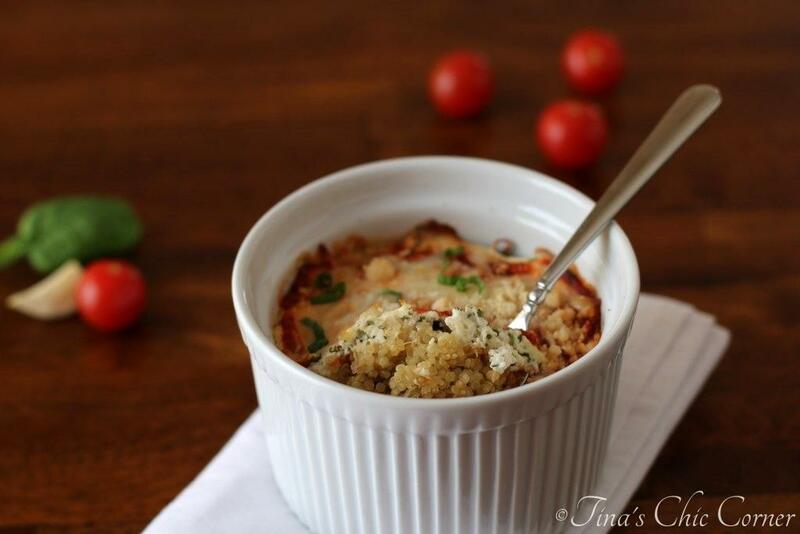 Love how you incorporated quinoa and greek yogurt into this! This is going on my “to try” list! I love when that happens! The best feeling. And the worst feeling is when a recipe flops and you have to go back to the drawing board. All the flavors in this sound amazing! And love the individual sizes too. I rarely have anything come out exactly the way I want it too! This looks amazing!! Eggplant is a favorite of mine but for some reason I rarely ever use it! 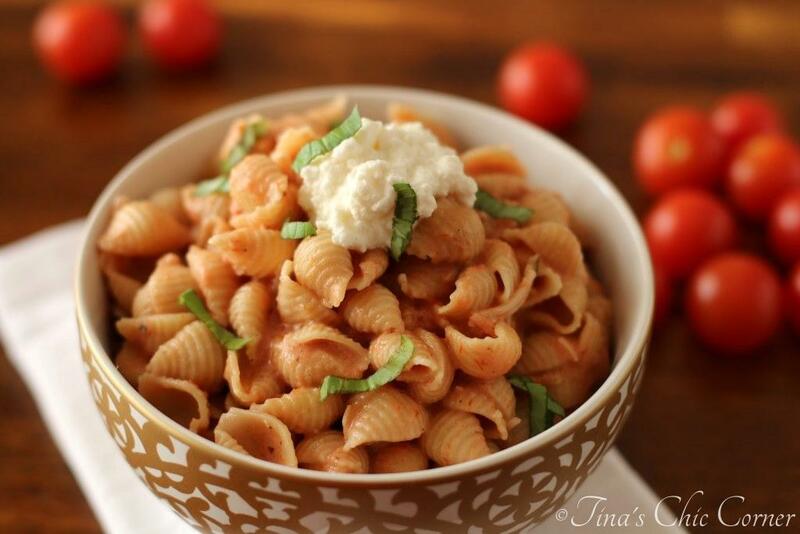 This looks delicious – I need to give it a try! And I love when recipes that you’ve been thinking of for a long time come out just right – it’s such a good feeling! Don’t you just looooooove making a recipe you’ve been waiting forever to make? Then it turns out perfectly? YES! The best feeling ever! 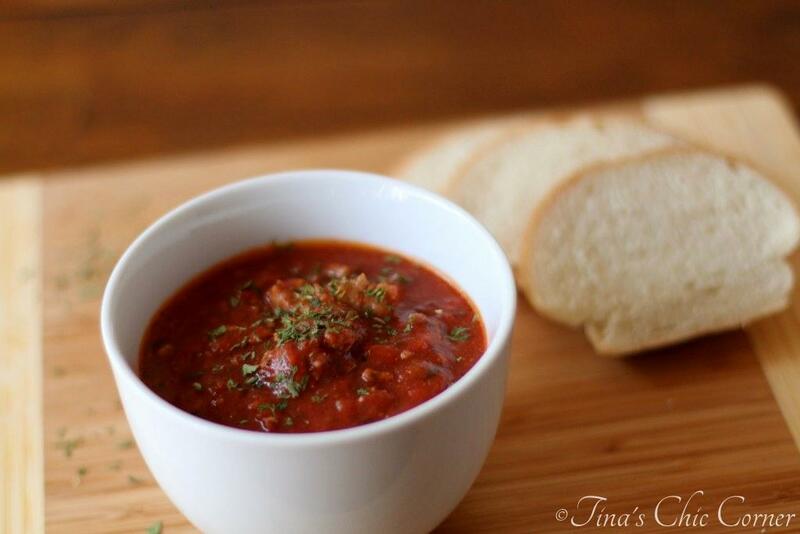 So glad you got to do this recipe – just like you planned! So much drool happened while reading this. 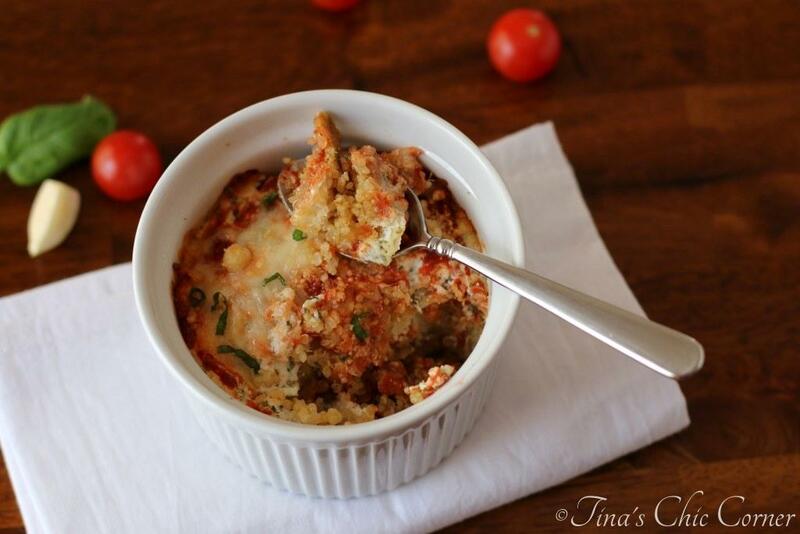 I mean, eggplant parm is one of my favorite dishes to begin with! And then you threw in quinoa. Totally in love with this! Isn’t it fun when you make all these healthy substitutions and they work?! This is definitely a winner! I cannot believe how good this is for you. Consider me duly impressed! I want this for dinner today too. First the quesadilla pie and then this baby hehe. I’d be so happy that way! This is magnificent, Tina! I’m so happy that you finally got to make it and that it turned out so perfectly. Beautiful job!